Our productive, super-sized SmartFilter™ helps keep pool water clean while helping protect the environment, your pocketbook, and your busy schedule. This national exclusive is also armed with antimicrobial technology. 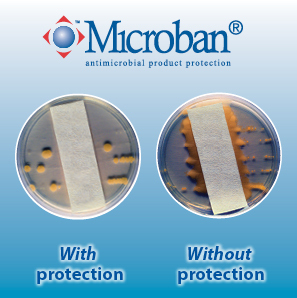 Powerful Microban®* product protection is embedded throughout its cartridge fibers to resist attacks from mold, mildew, and bacteria. • Use powerful Microban product protection to fight enemy microbes—so your filter stays fresher for longer. Constructed of PermaGlass XL™—an ultra-durable, glass-reinforced co-polymer—the tank stands up to harsh environmental conditions. It also meets the demands of the toughest pool applications, such as in-floor cleaning systems. When the cartridge does need cleaning, SmartFilter ensures convenience. Unlike some other brands of pool filters, its design prevents accidental bypassing of debris, and dirty, unfiltered water into your pool. Scientifically Proven: Independent laboratory studies prove that Microban creates a “zone of inhibition” that dramatically impedes growth of microbes that cause stains, odors, and deterioration of filter cartridges. And unlike surface coatings and chemical additives, Microban will provide enduring, built-in product protection.